Hard not to take notice wine Roberto Conterno decided to drop some coin on a new vineyard! I have limited experience with wines from Gattinara. Fortunately, I have significant experience with the Barolo wines of Roberto Conterno! They are undoubtedly amongst the most prized Nebbiolos in the world. I had the pleasure of devouring a vertical of his Cascina Francia late last year. No words! And his Barbera, also epic! The transaction was completed early this year, however, Roberto has been involved for a number of years now, his influence already showing in the wines. This, my friends, is an experiment to taste the very beginnings of a new venture and watch it evolve over the coming years. I’m looking forward to trying these wines for the first time in December. 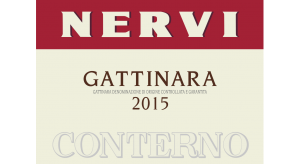 Roberto Conterno’s admiration of the Nebbiolo wines from the tiny (65 hectares) Gattinara appellation has been given dramatic illustration by his recent purchase of the original Gattinara producer, Nervi. Having spent a great deal of time in this north-western Piedmont region over recent years, Roberto has become very familiar with the lay of the land and its lean, minerally soils. 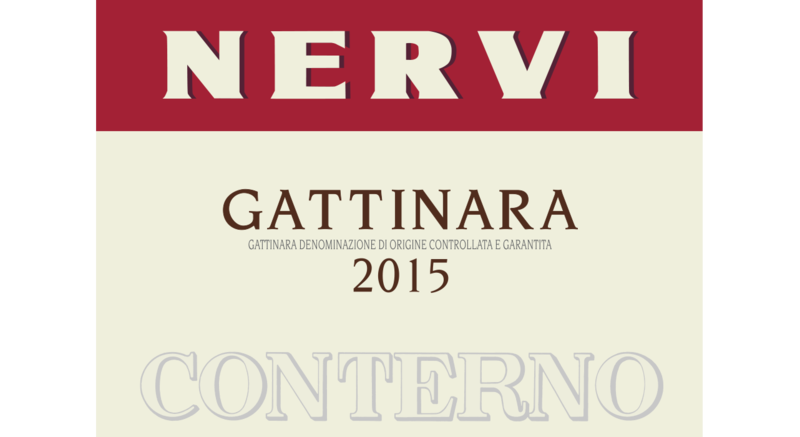 Nervi’s production of Gattinara started in the first few years following 1900, and it is regarded as the oldest cantina in the area. Over the years, Nervi have learnt how to tame the typically high-acid, high-tannin grapes of the region’s clone of Nebbiolo, Spanna – long-term ageing is the key, with maturation (often much longer than the mandatary DOCG regulations) in large format Slavonian botti. Nestled in the foothills of Monterosa, Gattinara was established as a DOC in 1967, and gained DOCG status in 1990, although Gattinara has mainly been a wine for those in the know. If you’ve tried a Nervi or Antoniolo Gattinara from superior vintages, like 1961, ’64, ’78, ’96 or ’97, for example – and they have occasionally been seen here – you will know they clearly rival Langhe Nebbiolo. Roberto Conterno certainly thinks so. In fact, Conterno’s purchase is a 90% share, and in his typical wisdom, he’s keen to retain existing local contact and expertise, encouraging previous owners the Astrup family and the winemaker Enrico Fileppo – with his experience of 30 plus Gattinara vintages – to remain. Vineyard man Ettore Bornate, at Nervi since 1973, is staying on as well. It’s important to note that although the sale occurred earlier this year, Roberto has had a close relationship with the Astrup family for many years, having assisted and given them advice since 2011. While the DOCG allows up to 10% of Uva Rara or Vespolina in the blend, only the odd vine of these would still be mixed amongst older plantings, and most of Gattinara’s vines are now Nebbiolo. These, an array of up to 13 different Spanna clones, chosen to ensure vine health and diversity, and to maintain local identity, are grown at 300-420 metres. Soils are a mineral-rich gravel, with a stony mixture of red volcanic porphyry and granite, with a lot of clay underlay, making it somewhat similar to the Serralunga profile, but with better drainage due to the high portion of volcanic gravel. Four plots, totalling nearly 29 hectares, or getting towards half of the DOCG’s total area, make the three main Nervi-Conterno wines. 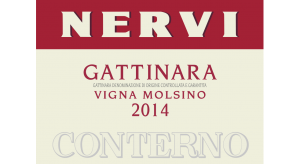 The vintage Gattinara, effectively the normale, is comprised of the four plots, Casacce, Garavoglie, Molsino and Valferana, and is fermented and macerated in steel at controlled temperatures for 20-30 days, followed by 30 months in large wood. The two cru, or individual vineyard wines, come from Valferana and Molsino, and are elevated in the large conical wooden tini for a similar 3-4 weeks, then spend another 40 months in various large wood formats. 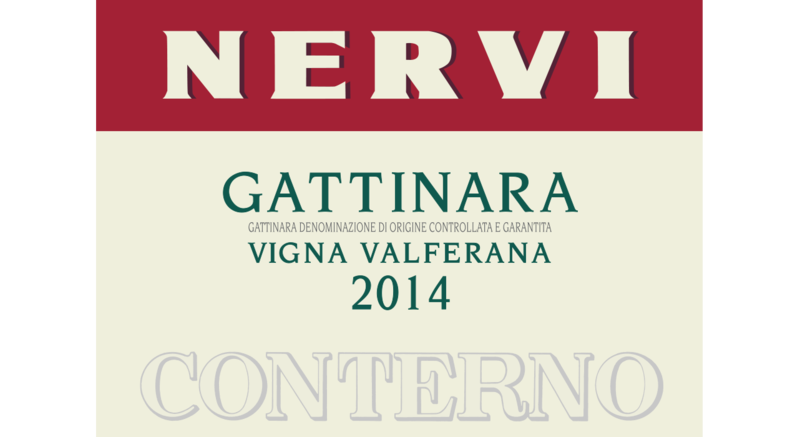 Valferana is the more austere, often considerably so, reflecting the nervous, tightly wound core gifted by Gattinara’s gravel, a disciplined symphony of mineral, graphite, cranberry and citrus. Molsino is lush by comparison, still fiercely underpinned by structure and tang, but more generous, with cherry, plum and balsamic (herb) over the above as almost secondary notes. These hardly need comparison with Barbaresco or Barolo; they are fabulous wines in their own right. Ask Roberto C. – Gattinara’s awakening is coming. Numerous assessments of the 2015 Molsino and Valferana wines in botti were made by Roberto along with oenologist Enrico Fileppo, and while the quality was never in doubt, the appraisal was that the ripeness of the vintage clouded the individual personas of the two crus. As such, the decision was made to blend these wines into the Gattinara. Not a decision taken lightly. Gattinara in the Province of Vercelli in the northern part of the Piedemont region. 150km north of Barolo and 70km West of Milan. Nervi-Conterno’s holdings are in Casacce, Garavoglie, Molsino and Valferana with single vineyard wines made from the holdings in Molsino and Valfernana. Nervi's 2015 Spanna is a lovely wine with plenty of Nebbiolo character. Medium in body and nicely focused, as wines from this appellation tend to be, the Spanna is bright and finely cut, with lovely energy to its sweet red cherry, chalk, mint and white pepper notes. Drink it over the next few years.